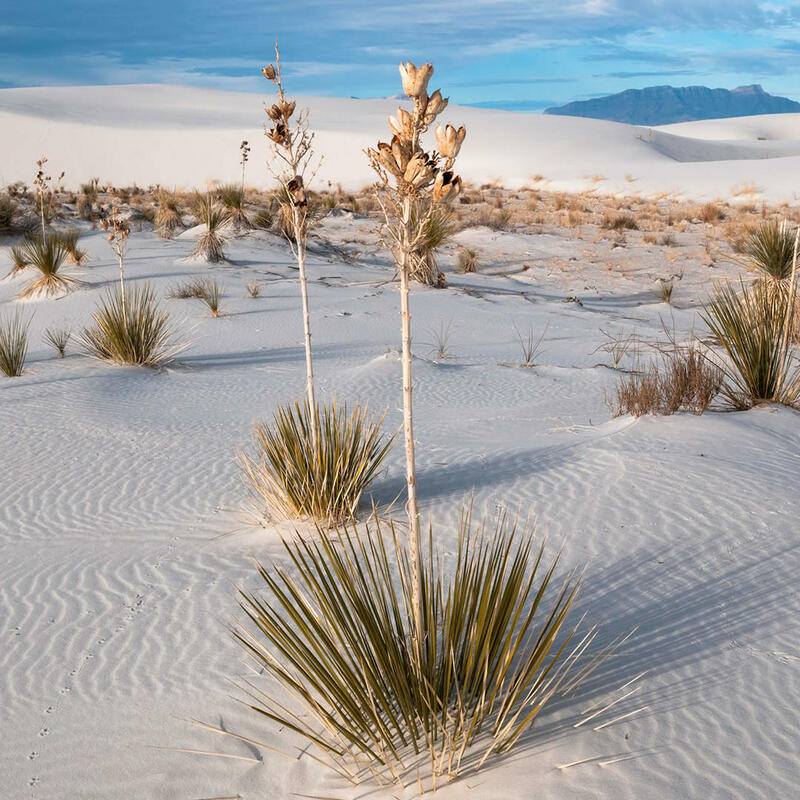 The White Sands National Monument is a U.S. National Monument located in the state of New Mexico. It is comprised of 275 square miles of white sand dunes composed of gypsum crystals and it is the largest gypsum dune field in the world. White Sands is completely surrounded by military installations and has always had an uneasy relationship with the military, especially when errant missiles fell on White Sands property and destroyed some visitor areas. The visitor center is at the park's entrance and there are four marked trails to explore the dunes by foot. In summer there are also ranger-guided orientation and nature walks.